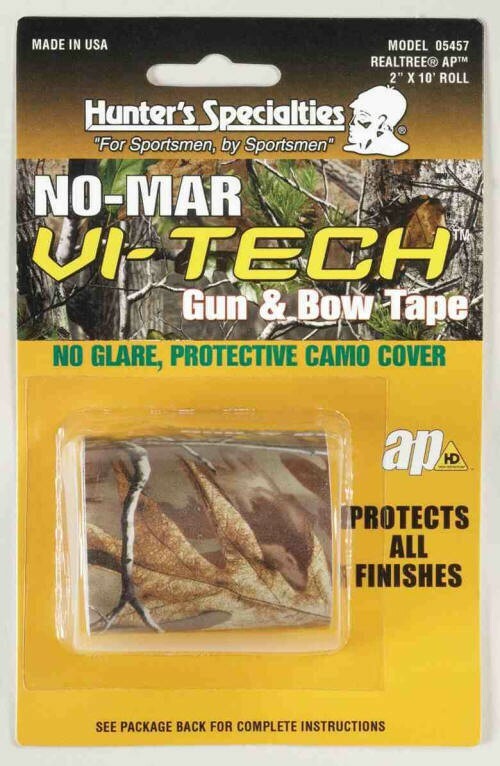 No-Mar Gun & Bow Tape is great for geocaches, guns, bows, outboard motors, naturalist gear and anything else that needs camo. The tape is easy to apply and protects items from dings and scratches, while helping you blend into your environment. Made of high-tech vinyl substrate. It’s neutral, open, contrasty and realistic — all the things necessary to make a camo pattern versatile and effective.